Italian shipyard Benetti has announced that it has delivered its latest project, 38.1m M/Y Charade, the sixth unit in the Fast 125 series, designed by Stefano Righini. 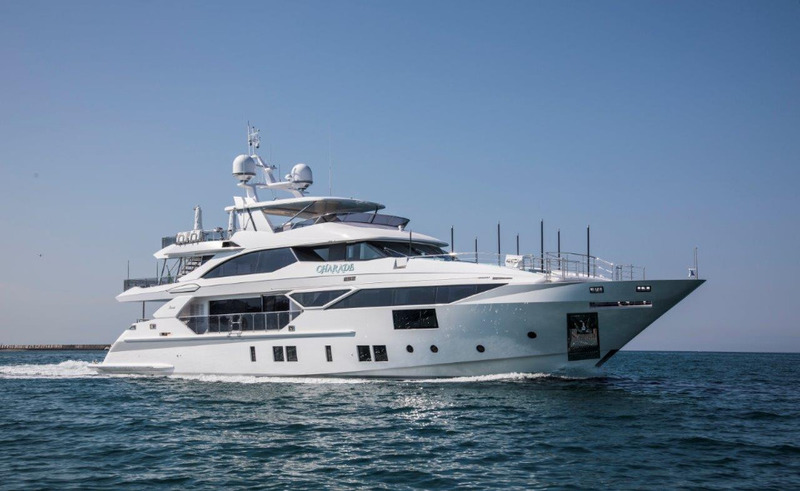 Just under three months after the launch, the new project has now been delivered to her new owners at Benetti’s Viareggio facility. Constructed in composite materials and carbon fibre, M/Y Charade features Benetti’s D2P Displacement to plaining hull with wave piercer developed with Pierluigi Ausonio. Fitted out with Azipull Carbon 65 thrusters, the lightweight boat is able to reach speeds of up to 24 knots. Developed in association with Rolls Royce, Charade’s propulsion system reportedly offers excellent manoeuvrability with quieter running as well as slightly more guest space, due to the reduced engine room. In this case, a garage has also been placed between the engine room and the guest cabins and engine room for added insulation against noise and vibration. For all yachts in the Fast 125 series, there are three potential design configurations that owners are able to choose from, including Air, Land and Sea, all of which have been designed by renowned British design studio, RWD. In this case, Air, the more contemporary of the three options, was chosen by the owner, featuring polished metal accents and simplistic lines. A steel and glass stairway, customised with backlit stone step tops provides access to the upper deck where there is also a plexiglass grand piano, gaming table and a sofa area. Benetti now has a staggering 28 superyachts on its order book according to The Superyacht Intelligence Agency. The Italian shipyard plans to deliver a total of 14 vessels this year, which is likely to retain its position as the most active superyacht builder in the market, based on The Superyacht Annual Report 2018: New Build criteria, of cumulative LOA delivered over five years.